So for the expecting mothers, I came across the absolute cutest maternity line that I have to share. We all know that maternity clothes have traditionally been quite frumpy and not the most fashion forward. Well, this line from Hatch has the cutest drapey stream lined pieces for maternity wear. The spring/summer line is adorable! I would totally wear this stuff non-preggers. Another great line for those expecting is Belabumbum. Check them out! So, yes, I am totally on the Hunger Games bandwagon. I held out until last December and then proceeded to rip through the books in all of about three weeks (which, for a slow reader, was intense!). This is probably my first foray into the YA genre, but let me just say that while I was reading the books, they totally consumed me. I am definitely looking forward to the movie in a few weeks. I have high expectations and hope that they keep it dramatic but not cheesy. I think there is so much opportunity for the directors to really create a whole new world, especially with the (hopefully) over the top, costumes! 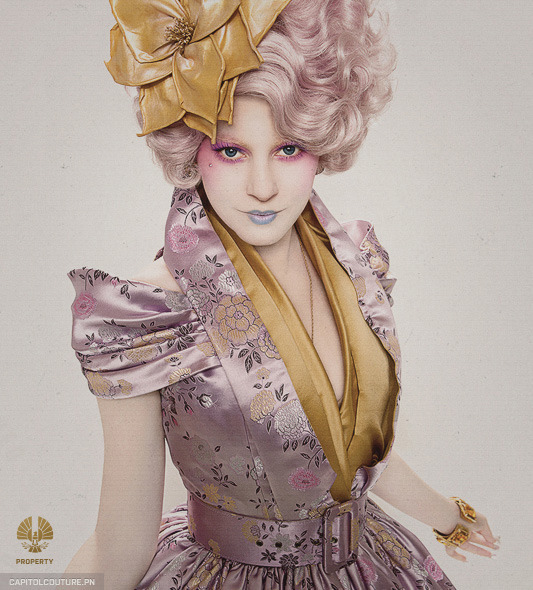 Since the whole world seems to be caught up in the Hunger Games paranoia, I am not surprised that there is a Hunger Games fashion tumblr called Capitol Couture. So far it looks like Rodarte, Dior, McQueen and a whole slew of other designers have contributed to bringing this series alive on the big screen. If that doesn’t get you excited, it looks like the soundtrack will feature Kid Cudi and Arcade Fire! Let’s hope this movie doesn’t disappoint! Now I’m a pretty low maintenance gal when it comes to nail care. Splurging for a monthly mani / pedi or buying a few Chanel or RGB polishes is about as extravagant as I’ll get, and while I generally steer clear of over the top fashion trends, I did spy one that I am excited to try! It’s called the Double Reverse French (see pics below). I love the black tip featured in the second pic and am also thinking it would look great in a navy or dark green!